The New Zealand Consulate General in Geneva carries out consular services for New Zealanders. Staff at the New Zealand Consulate General can assist in some situations but there are some limitations. 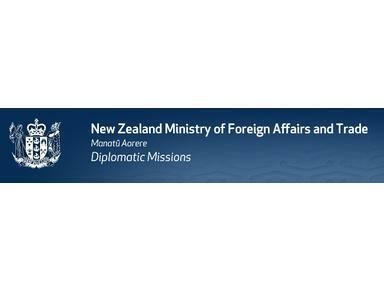 For further information on services offered to New Zealanders refer to the New Zealanders Overseas Section of this website. The New Zealand Consulate General in Geneva also assists non-New Zealand citizens who have an interest in or wish to visit New Zealand. For further information on these services please refer to theGoing to New Zealand section of this website. In conjunction with the Australian Consulate General, the Consulate General organises an ANZAC Day Service each year which is open to the public. It is held on 25 April at the Commonwealth War Graves, Saint Martin's Cemetery in Vevey. For the service time please contact the Mission.